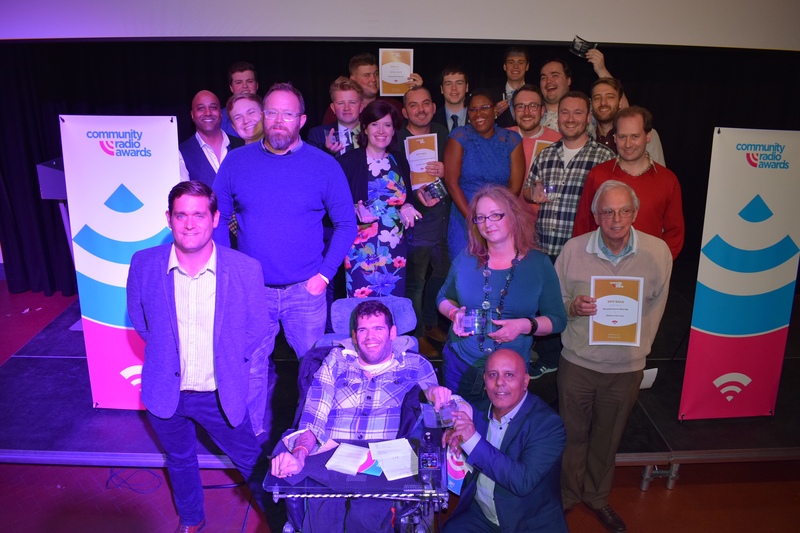 The successes of the UK’s growing not-for-profit radio sector were celebrated last night at the second annual Community Radio Awards (23 September), as Wycombe Radio 106.6 FM was named Station of The Year 2017. The award was announced by CRA Chair Martin Steers following the 2017 Community Media Conference, this year hosted by Ujima FM in Bristol, 2016 Station of the Year. Gold awards in the 17 categories included Radio Wanno from HMP Wandsworth was named best podcast (presented by Upload Radio); Rachel Price of Forces Radio BFBS Northern Ireland named Young Person of the Year (under 25) (presented by BBC Local Radio); and Spark FM’s Building an Audience using Facebook Live was Innovation of the year (presented by CMA).